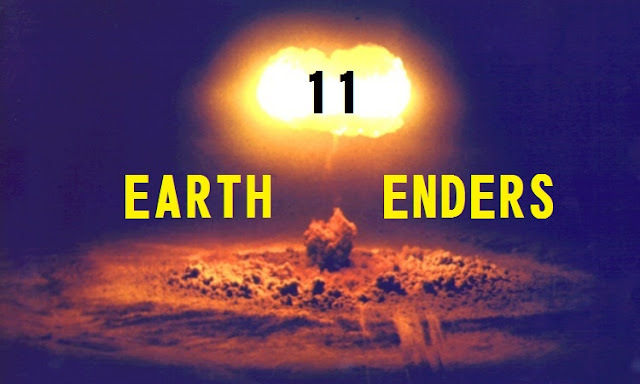 Today I start my countdown to the end of the world! The Mayan calendar runs out on December 21st and I have a piece of Apocalyptic Literature for each day. All these contain at least some description of the change from old to new world (this is Apocalyptic not Post-Apocalyptic). I also decided to avoid zombies and skirted the line on aliens due to their more Halloweenish nature. We'll start off with the same author as my first Frightening Fiction: Mary Shelley. Around 2073, Lionel Varney, a young man from a fallen noble family, attempts revenge on the king's son, Adrian. Through this the two become good friends. Lionel even marries Adrain's sister Idris. Lionel's sister, Perdita, marries an ambitious nobleman named Lord Raymond. 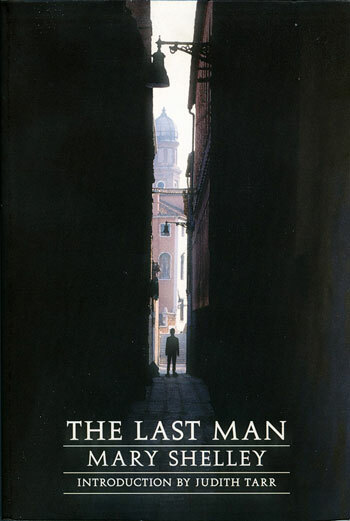 The Last Man explores the lives of these five and to some extent their children. They face political upheaval and even a deadly plague that wipes out most of humanity. Sorry about the vague summary, but this book is long. It is a dense 550 pages that takes place over 26 years. The middle drags on and the plague doesn't even do much until halfway through the novel. However; the beginning and the end of this book are stunning. The prologue itself is worth the read even if you don't read the rest of the novel. There are several glorious passages that illuminate the struggles of life and death. About 75% of the way through the novel Lionel reflects, "How intensely I then long to lie down beside her, to gaze till death should gather me to the same repose. But death does not come at the bidding of the miserable." This is how good some parts are. Unfortunately, Mrs. Shelley could have used an editor to cut the fat and some of the more useless characters and conflicts in the book. This is also among the earliest science fiction novels, though it doesn't get into any science. Despite talking place in the late 21st century, people use 19th century weapons and modes of travel. Even the politics of England are only just getting past the monarchy and into the plutocracy stage. This can make it jarring especially to a modern reader, but I tend to think of it more a possible future setting made to explore social concepts. After all, this is before the science fiction genre was really established. H.G. Wells and Jules Verne weren't even born when this novel was published! Lionel Varney is our hero and the eponymous Last Man. His rise from commoner with noble blood to full nobleman reflects his later struggles. He's also built up so that we care about his family and those around him. He does get melodramatic sometimes, but this was written by one of the core romantics, so that's to be expected. Also interesting, is that he shares many autobiographical details with Mary Shelley herself. Adrian is the former king's son and believer in liberal causes and freedom. He's a dreamer whose dreams and spirit are nearly crushed by the daunting reality around him. He slips into melodrama and feverish fits even more often than Lionel. Interesting, given the fact that he's based on Mary Shelley's husband, Percy. Lord Raymond is an ardent supporter of the upper class and calls for a return to monarchy. He appears to be one of the antagonists when he's first introduced, but changes over the course of story. I'm not sure I even have to state that he's based on Lord Byron because it is made quite obvious. Idris is Adrian's sister and later the wife of Lionel. She is caring and probably should be included in the heroic cast, but she really is treated more as an object most of the time. She develops more over the course of the novel and is a loving wife and mother. Perdita is Lionel's sister who indulges in one of the more tempestuous romances of the novel with Lord Raymond. So much so that I found that her and Raymond got a bit wearing as the book went on. Evande is a love interest of Adrian and Raymond. She serves mostly to drive melodrama and I think she could have easily been cut and the novel would have benefited from it. Clara is the daughter of Raymond and Perdita. She doesn't get a lot of page time, but she stands out more than her cousins Alfred and Evelyn. She develops as a strong, independent and caring young woman. I think her role should have been increased. Juliet is a plot device character we're meant to care about toward the end. She sort of appears in part three with a full backstory interacting with leads like she's been there the whole time. This is rather jarring after the unnecessary minor character descriptions during part 2. She was exactly like one of them except she kept reappearing. In this manner she seemed very forced in, right up to and including her over dramatic and out of nowhere death. If she had been properly integrated into the story she could have been a decent character, as it is, she could easily have been replaced with another lead. The Countess of Windsor is Adrian and Idris' mother and the former queen of England. She is an antagonist during the first section when she tries to separation Lionel and Idris for her own political gain. Like many of the potential antagonists, she is somewhat redeemed by her actions at the end of the book. In fact, one of my favorite scenes is where she finally acknowledges Lionel as a proper son-in-law. The Imposter is a villain who rears his head near the end and causes some problems for the last group of survivors. There are several parts during his section that Mrs. Shelley skips over that I found odd. As such he ended up more like some of the people mentioned in Part II, who just seemed unnecessarily brought in to fill up pages. This is a shame as he could have been an excellent overarching villain for most of part three. As is to be expected from any Romantic writer, Shelley is at home in describing the incredible bounty of nature. However; I think she surprised me most at her ability to descrive the ravages of war and plague. Ghastly visions of the apocalypse are rendered so that you can almost feel the mountains of corpses give as your knee presses into the rib cage of a greek soldier or a warm noxious plague infested breath making its way to your lungs. It does get a bit depressing with how much she summarizes some sections only to lavish others with attention. Most of the descriptions are brilliant though. The end endeavors to be as positive as it can, but after the somewhat soul crushing right it seems a bit out of place. Right up until the very end Lionel is losing people and suffering. I think I almost would have been kinder without the somewhat forced happy ending. With a little more focus on the core characters this book could have been even better than Frankenstein. Take a look at the brilliant prologue about how she got the idea for the novel which is brilliant alone. While reading I found myself scanning through some minor characters and the secitons about politics because they seem only to be brought up when convenient for Mrs. Shelley to make a point and tend not to advance the story. Yes, there is interesting historical context to be drawn for it, but it sometimes comes at the cost fo the characters. There is also a large amount of romantic melodrama that could have been cut down. These issues prevent the story from being the perennial classic that Frankenstein remains. 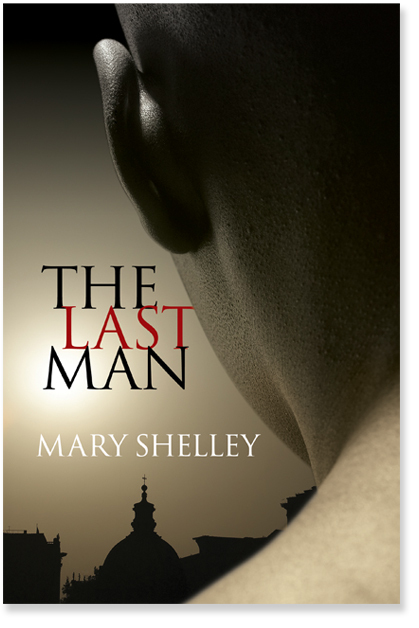 Despite these shortcomings, The Last Man remains an interesting look at the politics and historic figures of Shelley's time. This book is the first four freebies I'll be looking at on this list. Get it at Project Gutenberg!